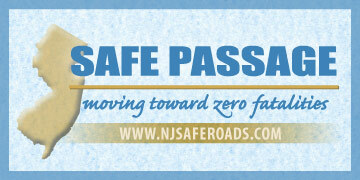 The mission of the Division of Highway Traffic Safety is the Safe Passage of all roadway users in New Jersey as we move toward zero fatalities. To achieve our mission, the Division promotes statewide traffic safety programs through education, engineering and enforcement activities. The bulk of the Division's funding comes from the Federal Government, through the National Highway Traffic Safety Administration. The funding received by the Division is used to undertake state-wide traffic safety programs and is also dispersed to municipal, county, state government and law enforcement agencies, as well as non-profit organizations in the form of traffic safety grants. The Director is appointed by the Governor and also serves as the Governor’s Representative for highway safety. Issues relating to the use of seat belts and child safety seats. Efforts to reduce driving while impaired by drugs or alcohol. Programs designed to reduce crashes involving pedestrians or bicycles. Bringing the traffic safety message to the state’s diverse populations. County-wide programs that address specific traffic safety issues in a particular county. Educating motorists about the dangers of distractions such as talking on a cell phone or sending text messages while driving. Reducing dangerous driving practices including speeding, excessive lane changes, tailgating and gesturing. Raise awareness among young drivers and passengers of the dangers of impaired driving, speeding and not wearing seat belts. Promote programs directed towards reducing traffic-related injuries and fatalities among older people. Ensure persons incurring traffic related injuries receive prompt emergency medical care. Provide a complete and useful records system at the state and local level. Develop and implement systems and procedures for carrying out roadway construction and operations in a safe manner. Promote motorcycle safety by addressing the use of helmets, impaired riding, rider training and motorist awareness.